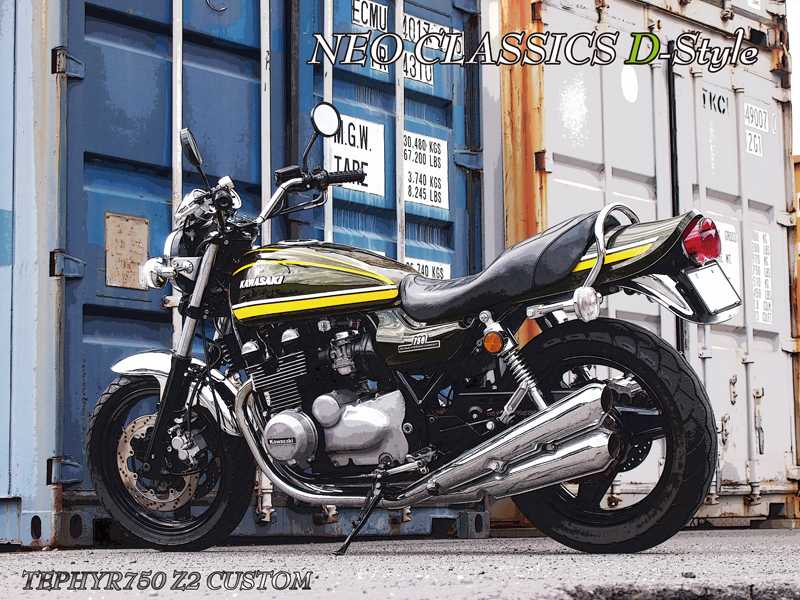 The most popular Doremi neoclassic style is Zephyr750-Z2 style, customizing 1990s ZR750 Zephyr as in 1972 Z900 (Z1) or 1973 Z750 (Z2) style. 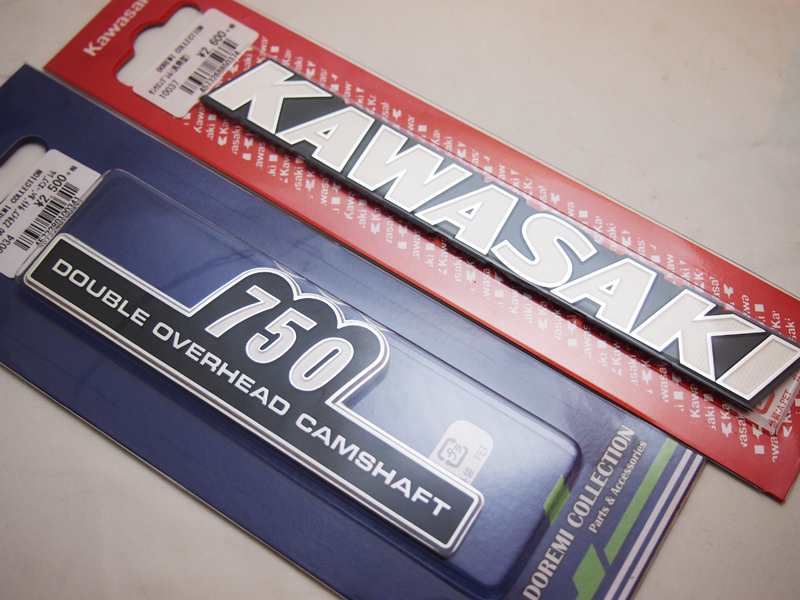 Today, we will introduce our mainstream products for ZR750-Z2 style. You can easily access the shopping web page usingthe link “Shop now” next to this introduction. As the one-stop supplier for all your ZR750 customization needs, we are certain your shopping experience will be a fulfilling one. 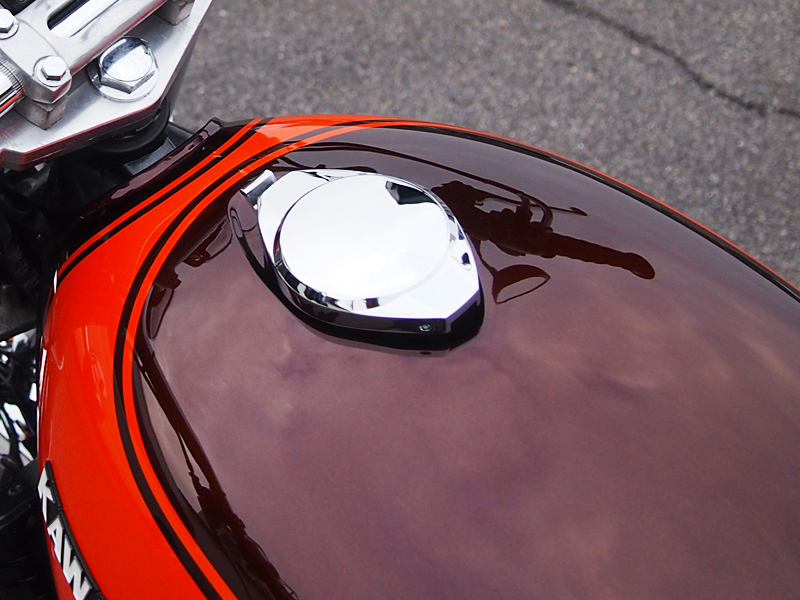 For exterior sets, we frequently received fuel tank inquiries regarding the difference between Z2 style gas cap tank and airplane style gas cap tank. The two types of tanks are different in terms of both gas cap shape and gas hole shape. Therefore, please be aware that you cannot swap the cap between those two tanks. We are always here to answer any questions and concerns. 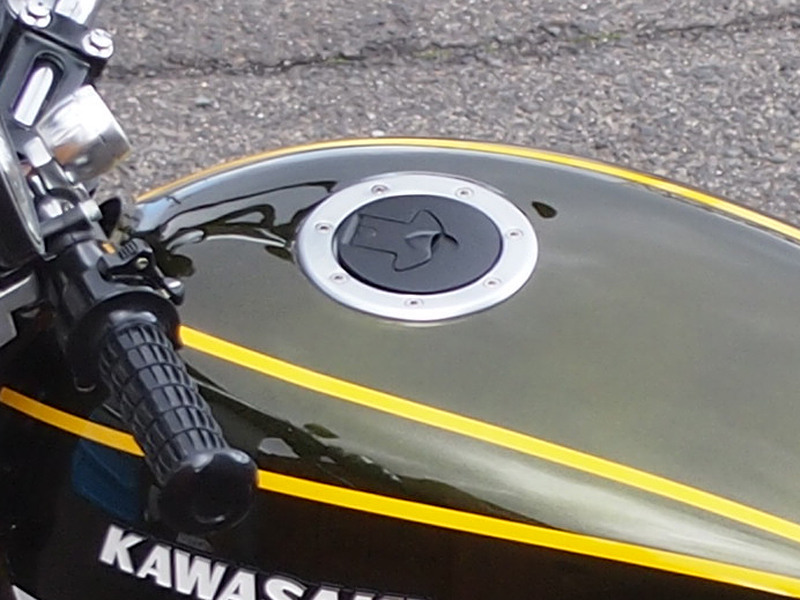 It uses Z900 stock gas cap. 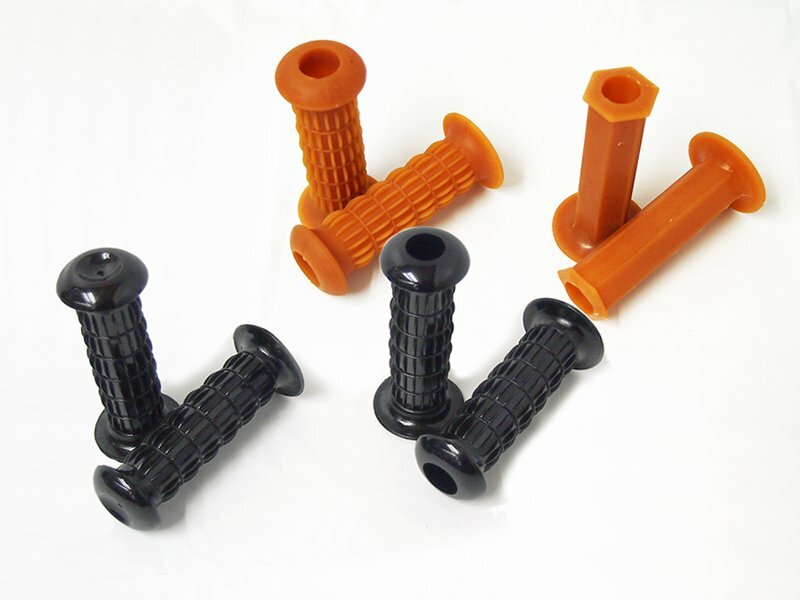 This cap system allows you open and close only by a hock without key. We have 10 optional colors for you. Feel free to pick your favorite color. 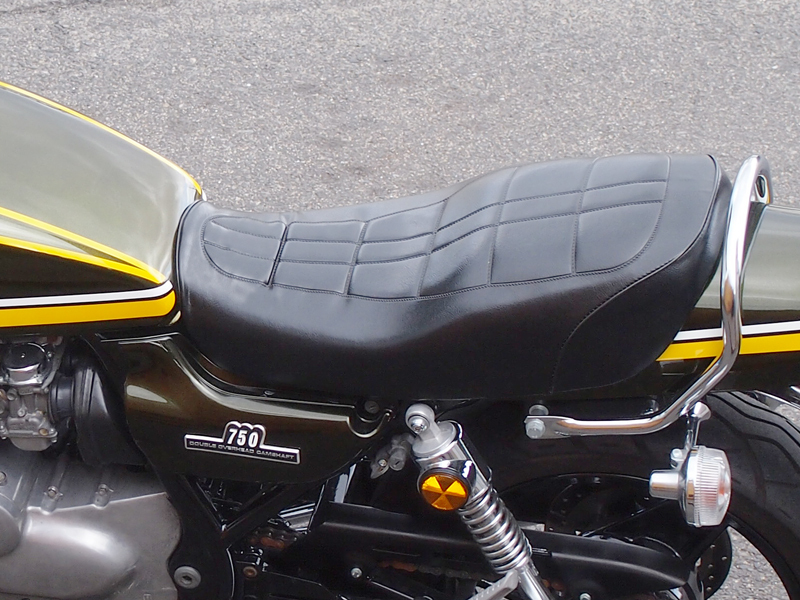 It uses ZR750 Zephyr stock gas cap. You don’t need to add a new key in case you use your own stock gas cap. We are selling emblems and exterior sets separately. Don’t forget to order if you need both. Please be aware you need 2 emblems to complete one motorcycle. It is a generic item that comes with double side tape. You can have Z2 (Japanese version of ’72 Z900 has 750cc engine) style with our large amount of product lineup around handle. We updated our past product with new shape and mirror. If you are using our past products and want to change them, we recommend you to buy both left and right to match shape. Please order with your favorite height. 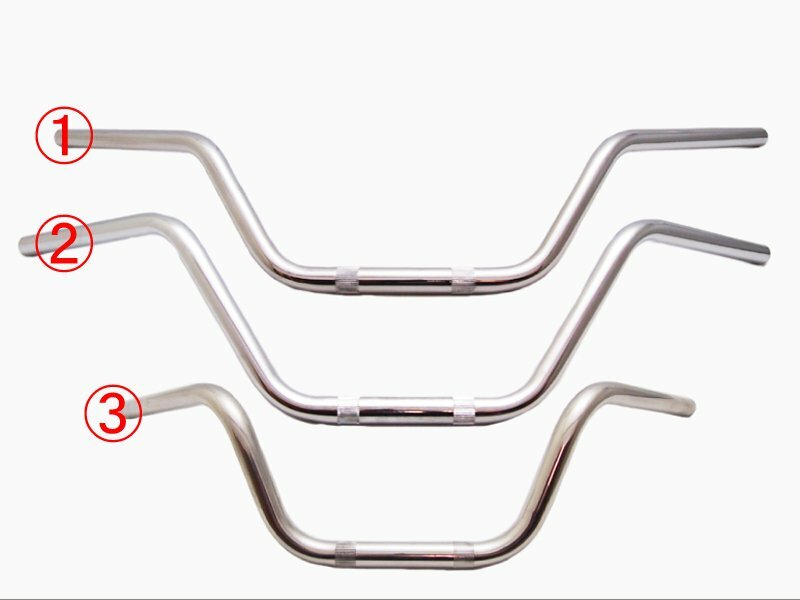 You need new longer control cables for higher handle bar. 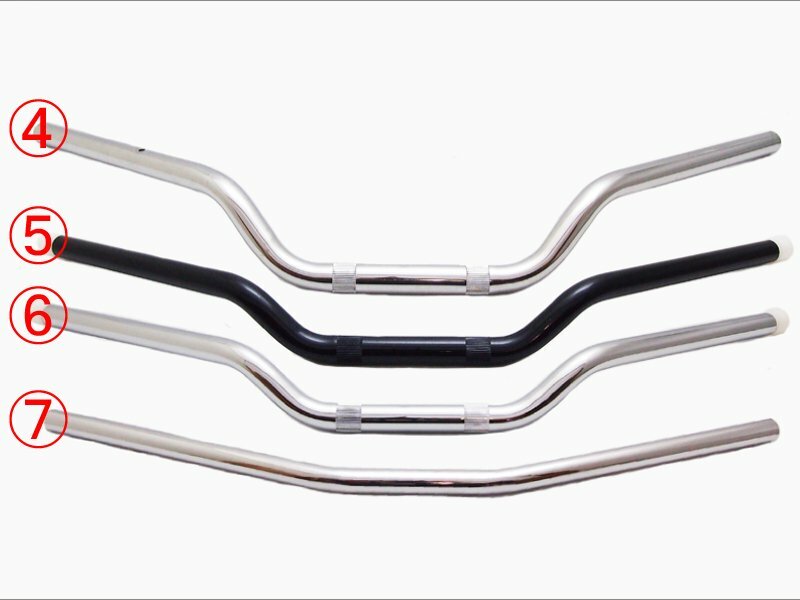 You need to adjust the routing for your control cables with a lower handle bar. Based on the year model or serial number, the throttle movement may be rough. In that case, you can change your throttle pipe to this one. 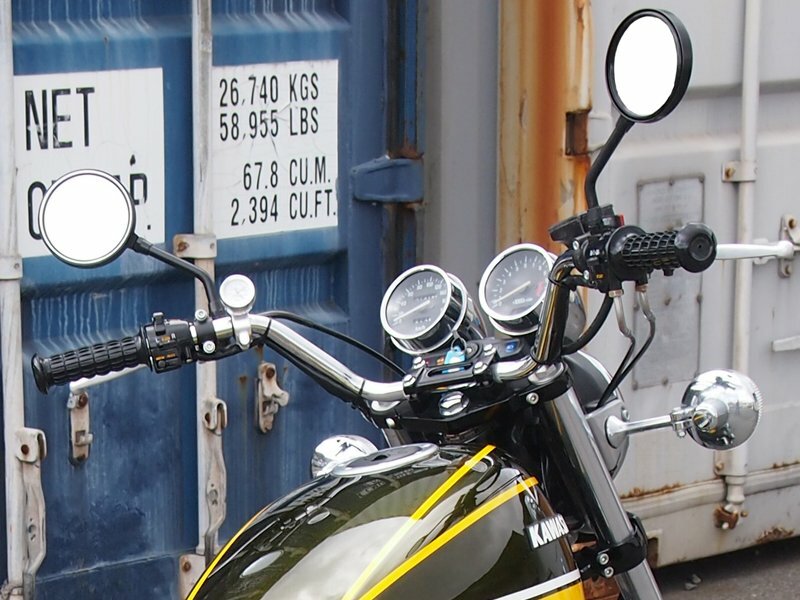 Based on your handle height, you can choose the throttle cable length for your handle bar switch control box from the option below. 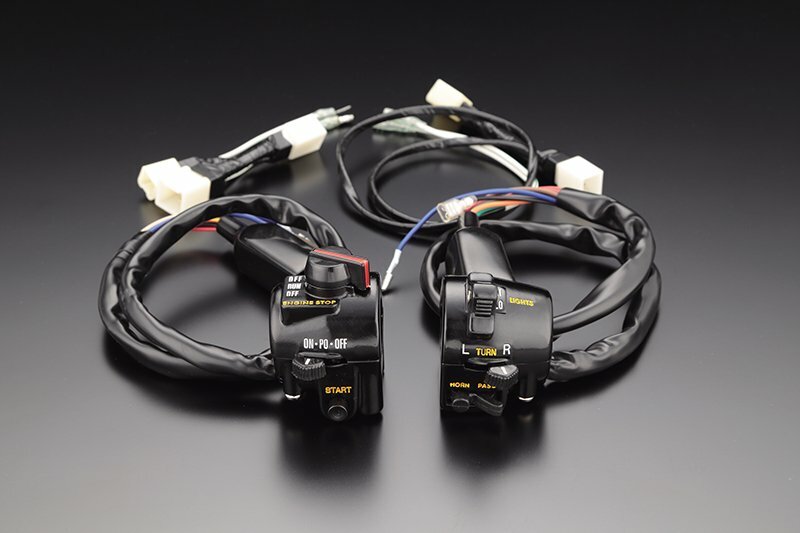 You need enough length brake hydraulic lines based on your handle bar height regardless of which handle bar switch control box you use. The extension electronic wiring is not required because it is already included in the box. The choke cable is not required because the box doesn’t have a control switch for it. You can choose a handle grip with your favorite style. We added a new tuck n’ roll seat to our product lineup. 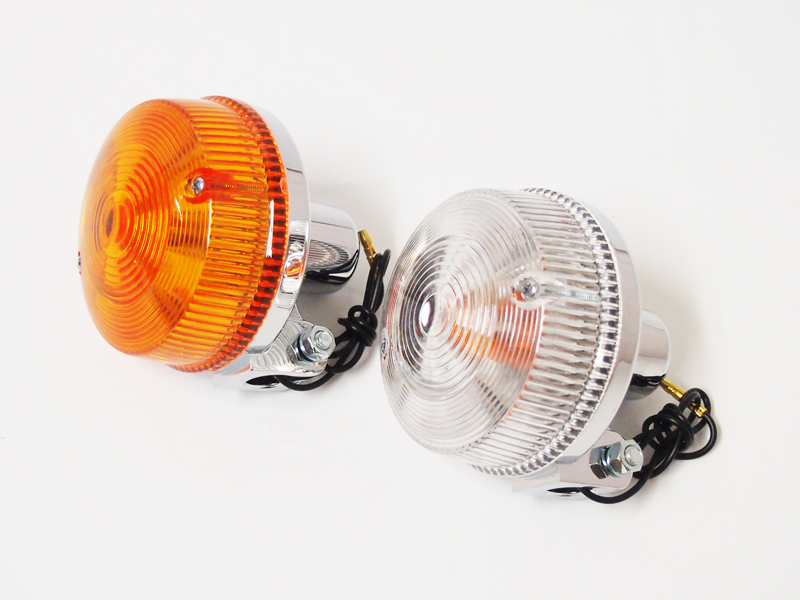 We have 2 types of turning signal lamp. The one has double bulbs for front day light use. The other has single bulb for rear use. You can choose either transparent lens or orange lens. 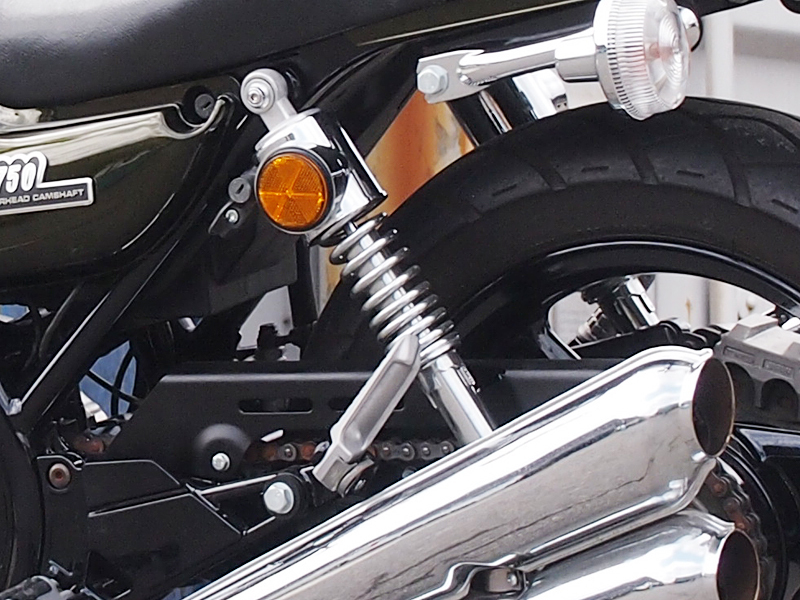 Tuning signal lamp requires arm to equip on your motorcycle. We have a long (91mm=3.6inch) arm and a short (58mm=2.3inch) arm. 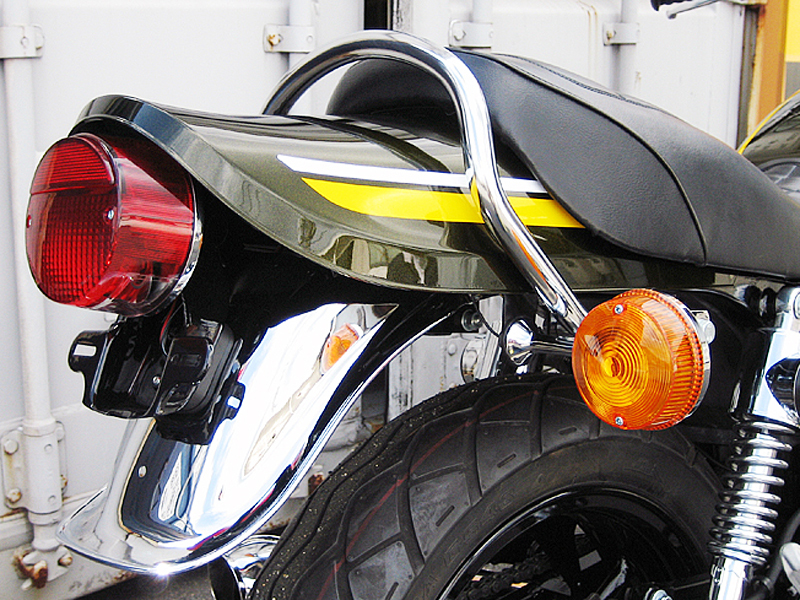 Our Z2 style tail lamp provides you the perfect clearance between tail cowl and tail lamp. 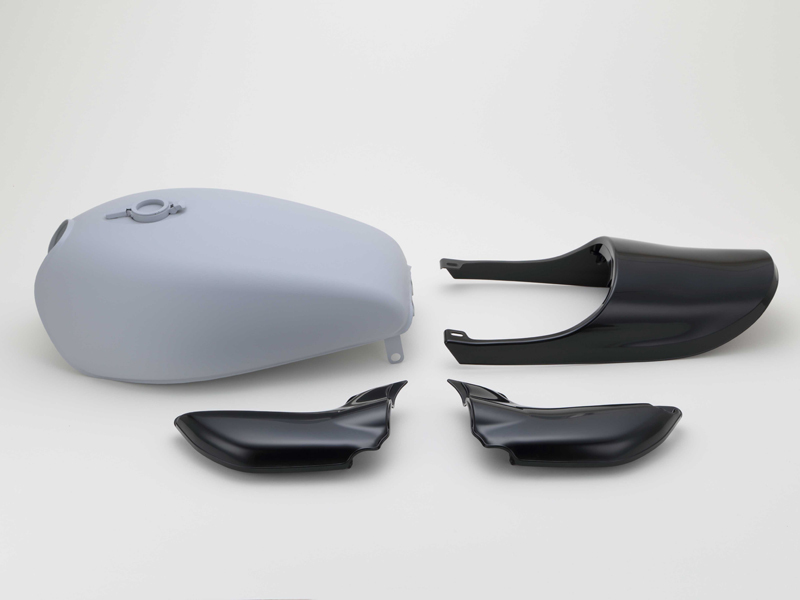 It requires your modification to install on the stock rear fender. 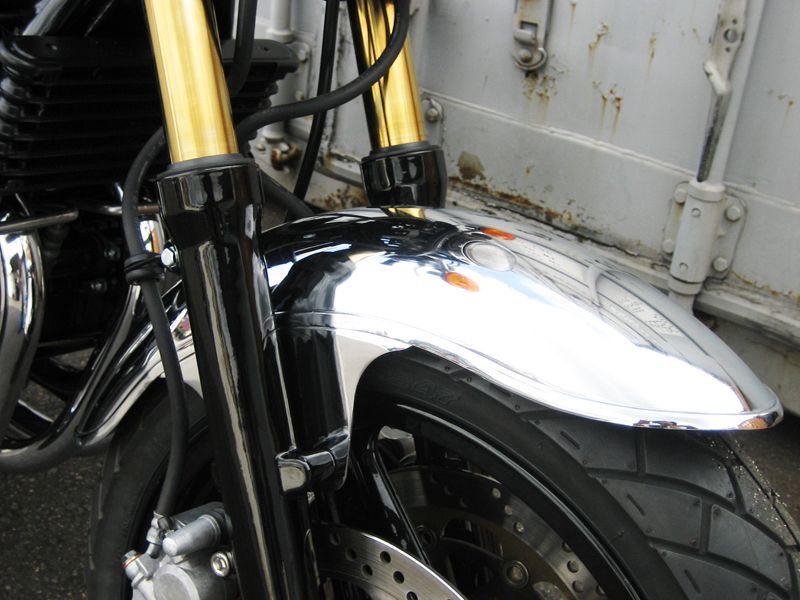 You can also choose our custom rear fender does not require any modification. 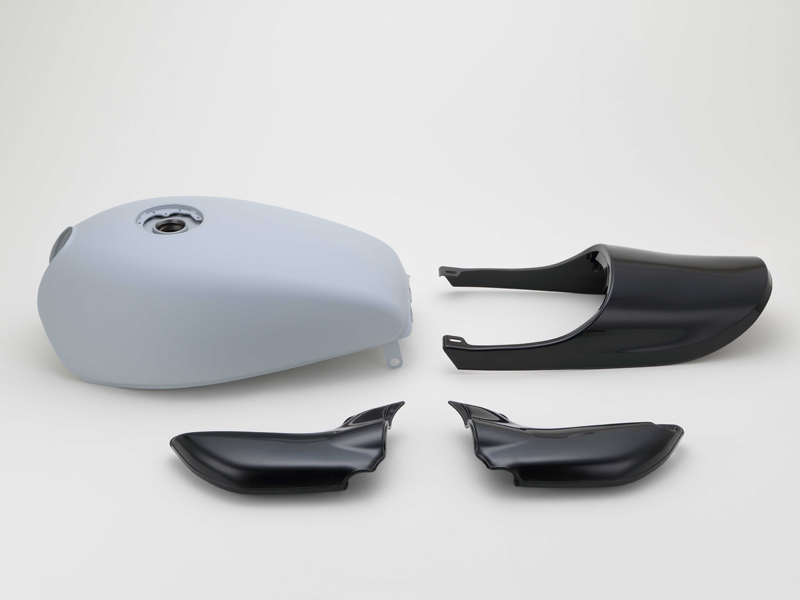 Our fender eliminator kit does not include tail lamp. 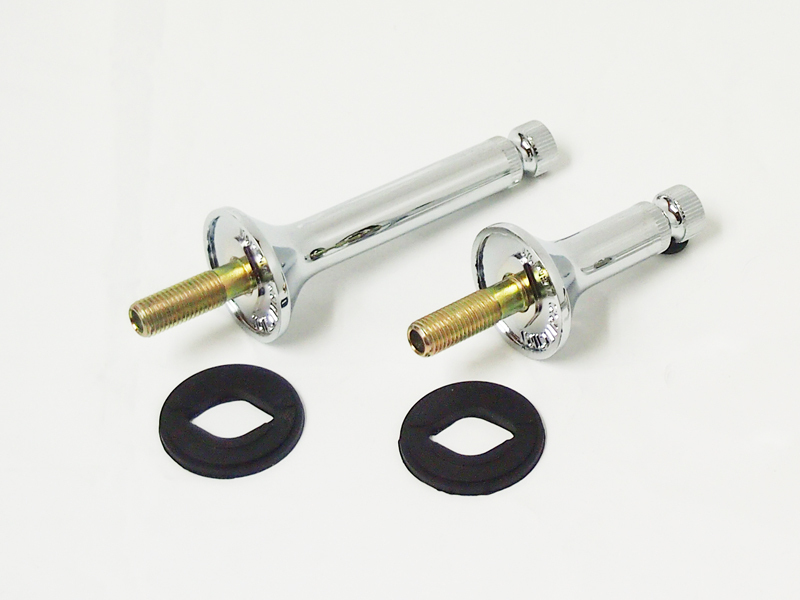 They will provide you easy and reliable center stand use. 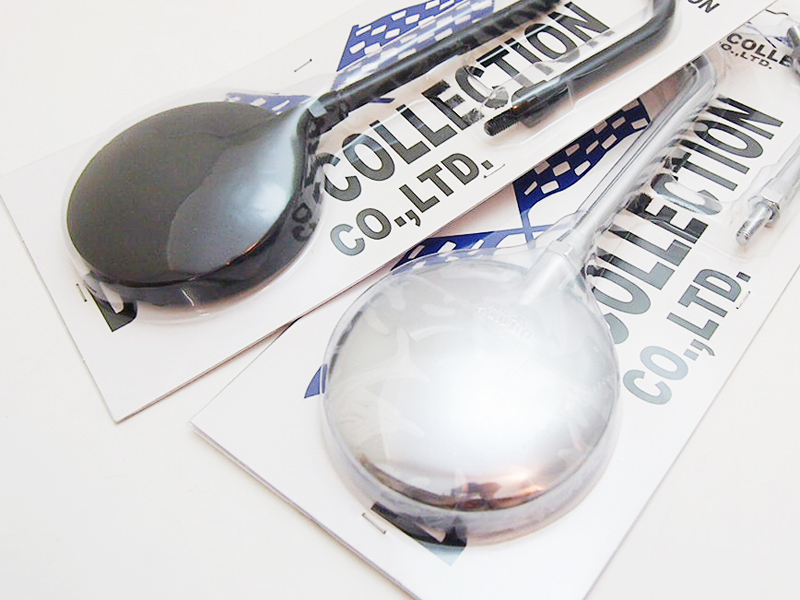 It is a re-produced item in vintage Z style comes with a reflector. 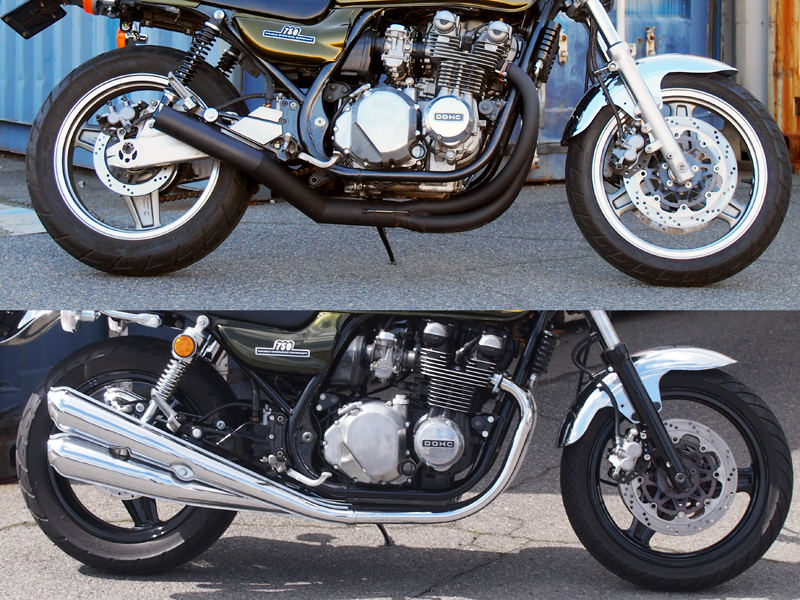 We have the 4-4 exhaust system with plated finish for customers who prefer the stock look and 4-1 exhaust system with the short end pipe for the people love ‘70s custom appearance. Order your favorite one now. Gaskets are required when you change your exhaust system. I could only show you a small portion of our products. For the all product lineup, please go to our shopping website.